I just found the shirt we all need! I was checking out Heather's Heart Pete the Cat Rocks Giveaway and I ran across it. It is a Pete the Cat tee and it is from Sewing Sassy. 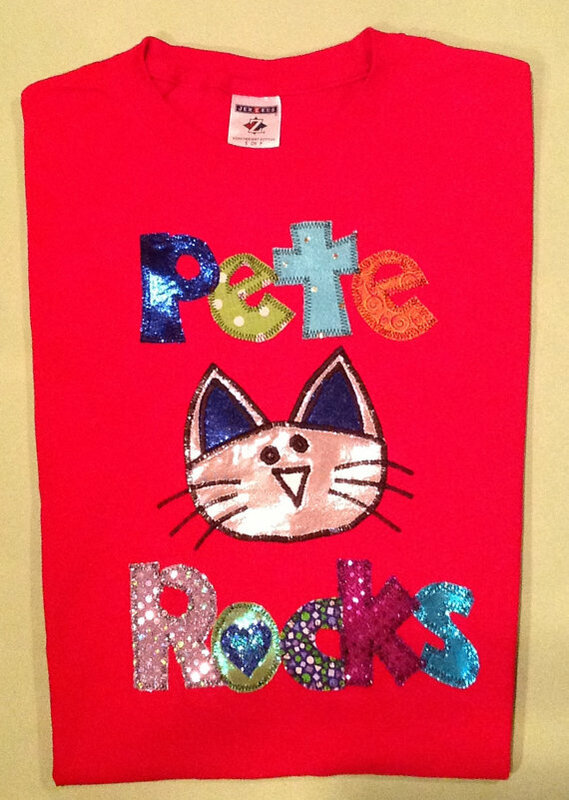 You can check out all the goodies in Heather's giveaway here and purchase your own Pete the Cat shirt here!! Heather's giveaway ends tonight at midnight, so make sure you enter to win today. Thank you for blogging about the giveaway! My friend Carla is amazing...I love ALL of her shirts! I love your blog! I am moving cross country right now so I don't know what I will be teaching yet. I like to think that no matter where I end up I will be able to use your blog! I haven't read any Pete the cat books yet.... But I am realizing very quickly that I need to especially since my last name is Pete! !